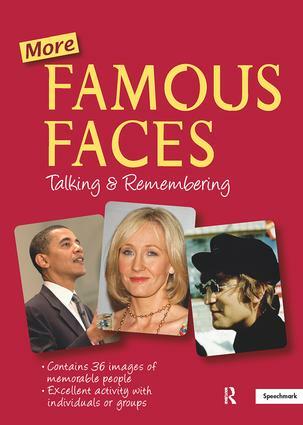 36 Conversation cards involving recall of and reminiscence about famous faces. 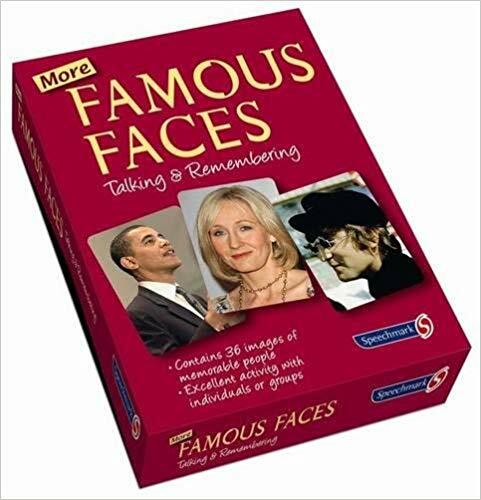 This second set of Famous Faces cards provides another excellent opportunity for therapeutic reminiscence work and facilitating discussion. The 36 cards include more recent people who have contributed in some way to everyday life through their actions. Each card portrays a person who has had a significant and memorable influence in their particular field from the 60s right up to the present day. The reverse of each card includes a detailed biography which the session facilitator can use as a start point for discussion and activities – for example group members may have their own material to bring along to add to discussions. The cards provide an opportunity to encourage communication skills and memory recall and involvement in group or one-to-one discussion and can be used for reminiscence work. 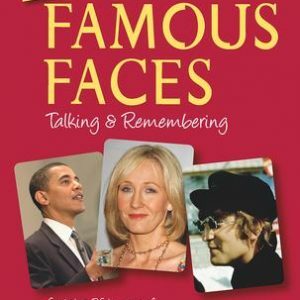 NB : This product is an updated version of Famous Faces Volume 1. If you would like a copy of this, please contact us.